If you’re one of the many people across the USA who are considering moving to Colorado, I’m happy to be able to give you one more reason why you should make the move: our low electricity bills. Colorado already has a long list of reasons why people move here (our outstanding quality of life, very few bugs, low humidity, low pollution, and more), and now, according to data recently released from the US Dept of Energy, our average electric bill is extremely low compared to other states. How low? 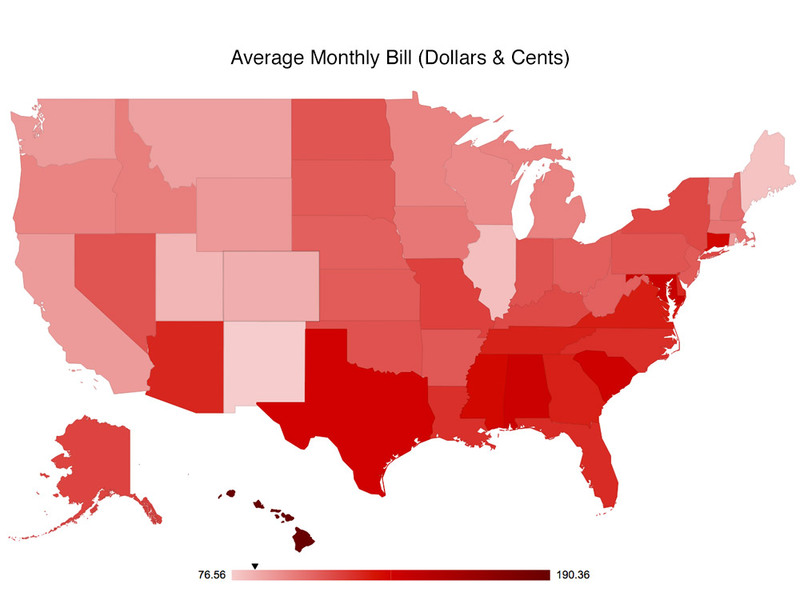 Well, if you ranked all 50 states by their average monthly residential electricity bill, from most to least expensive, Colorado ranks 46th. 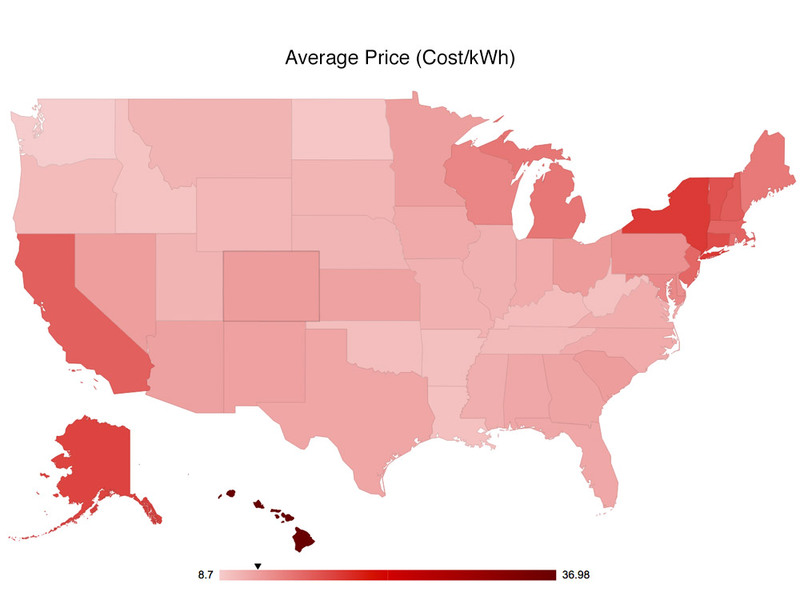 Only 4 states have lower electricity bills than we do. This comes as no big surprise to people who already live here: our winters are not so severe that we need to keep the furnace burning constantly, and our mild summers don’t need much air conditioning either. (Actually, a significant percentage of homes in Colorado don’t even have air conditioners)! Take a look at the charts below to see how we stack up to the rest of the country. 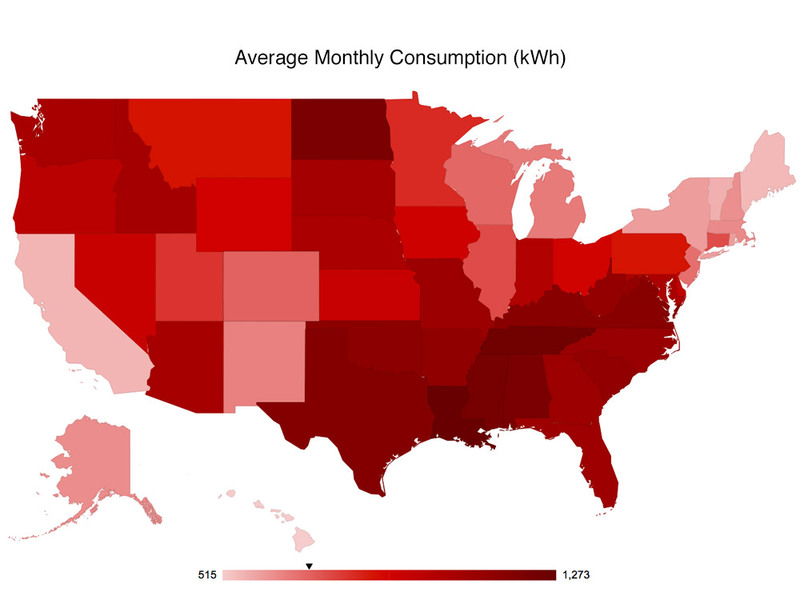 Average Monthly Consumption (kWh): we’re #37 by this metric, which means our average use of 712 kilowatt hours per month is less than many other states. Average Price (Cost/kWh): we’re #19 on the price per kilowatt hour at $11.93/kWh, so we’re about halfway down the list. Average Monthly Bill: if you consider our cost per kWh and our usage (i.e. the two charts above), our average monthly electricity bill works out to $84.91, which is lower than 45 other states! If you’re thinking of relocating, either to escape harsh winters, or to find enjoyable summers, we encourage you to do so. Colorado has a tolerable climate all year long, and, of course, there’s plenty to do while you’re here. If you’re thinking about build a custom home in Colorado Springs or surrounding areas, feel free to contact us to learn more. We would love to talk to you about your dream home.